Karl Weyprecht, also spelt Carl Weyprecht, (8 September 1838 – 2 March 1881[inconsistent]) was an Austro-Hungarian explorer. He was an officer (k.u.k. Linienschiffsleutnant) in the Austro-Hungarian Navy. He is most famous as an Arctic explorer, and an advocate of international cooperation for scientific polar exploration. Although he did not live to see it occur, he is associated with the organisation of the first International Polar Year. In 1856, he joined the Austro-Hungarian Navy (Kriegsmarine) as a provisional sea cadet. He served in the Austro-Sardinian War. From 1860 to 1862, he served on the frigate Radetzky under the command of Admiral Tegetthoff. From 1863 to 1865, he was instructional officer on the training ship Hussar. On 23 July 1865, he became known to the German geographer August Petermann at a meeting of the "Geographic Society" in Frankfurt. He served in the 20 July 1866 sea battle at Lissa, aboard the ironclad Drache. He met Julius von Payer in 1870, and made a preliminary expedition with Payer to Novaya Zemlya in 1871. On 18 February 1872, Weyprecht gained citizenship in Austria-Hungary. On 18 September 1875, he addressed the 48th Meeting of German Scientists and Physicians in Graz, Austria. He reported the "basic principles of Arctic research" and suggested that fixed Arctic observation stations should be established. According to Weyprecht, it was important to organize a network of Arctic stations taking regular measurements of weather and ice conditions with identical devices and at preestablished intervals. In 1879, he presented these ideas, along with George Neumayer's to the 2nd International Congress of Meteorologists in Rome. Karl Weyprecht died of tuberculosis in 1881. The Austro-Hungarian polar expedition led by Weyprecht was selected as main motif for the Austrian Admiral Tegetthoff Ship and The Polar Expedition commemorative coin minted on 8 June 2005. The reverse side of the coin shows two explorers in Arctic gear with the frozen ship "Admiral Tegetthoff" behind them. Swedish musician Stina Nordenstam's sound installation Isens Fasor was spoken directly from Karl Weyprecht's expedition journal. Ursula Rack Sozialhistorische Studie zur Polarforschung anhand von deutschen und österreich-ungarischen Polarexpeditionen zwischen 1868-1939 (Vienna 2009). ^ Koerbel, Hermann F. (2003). "History of the Austrian Polar Exploration". eunet.at. Archived from the original on 2008-04-12. Retrieved 2008-04-22. "Weyprecht, Karl" . New International Encyclopedia. 1905. 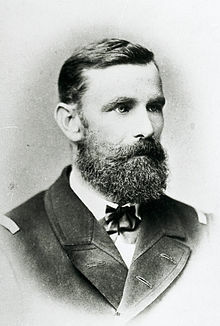 Julius Johannes Ludovicus Payer, ennobled Ritter von Payer in 1876, was an officer of the Austro-Hungarian Army, mountaineer, arctic explorer, cartographer, painter, and professor at the Theresian Military Academy. 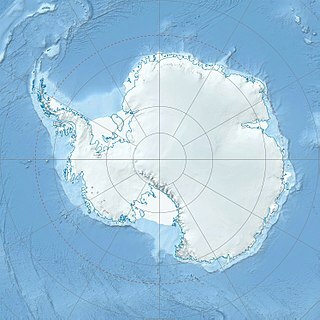 He is chiefly known for the Austro-Hungarian North Pole expedition in 1872–74 and the discovery of Franz Josef Land.